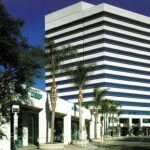 At the Law Office of Cary S. Macy, it is our mission to help our Huntington Beach and Orange County clients receive compensation for any pain or anguish that you experience due to injury. If you have any questions regarding an injury that you have sustained, please don’t hesitate to call. It is important to speak with us as early as possible in order to ensure success in court. Our consultations are absolutely free with no obligations. At the Law Office of Cary S. Macy, we don’t get paid unless you do. Call us today to speak with a dedicated and aggressive personal injury lawyer.